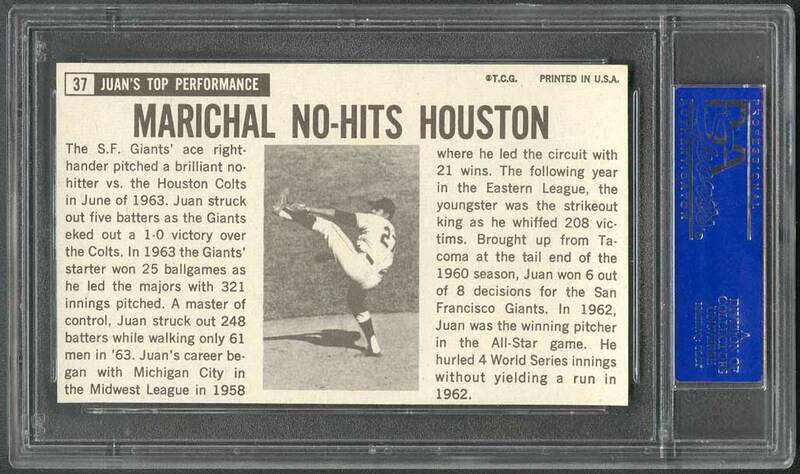 Comments: In November, 2002 I won a PSA 8 via eBay and upgraded to this PSA 9 the following year in December after winning another eBay auction from seller Bob Lins/fairway54. 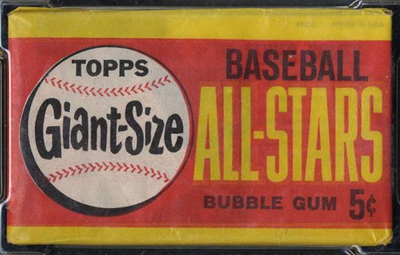 Description: Measuring 3-1/8" x 5-1/4" the Topps Giants were the company's first postcard-size issue. 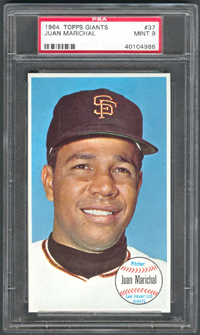 The cards feature large color photographs surrounded by white borders with a white baseball containing the player's name, position, and team. 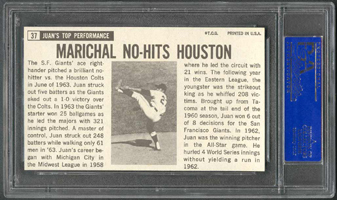 Card backs carry another photo of the player surrounded by a newspaper-style explanation of the depicted career highlight. 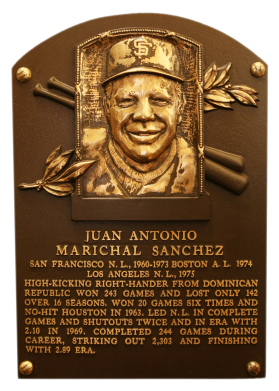 The 60-card set contains primarily stars which means it's an excellent place to find inexpensive cards of Hall of Famers. 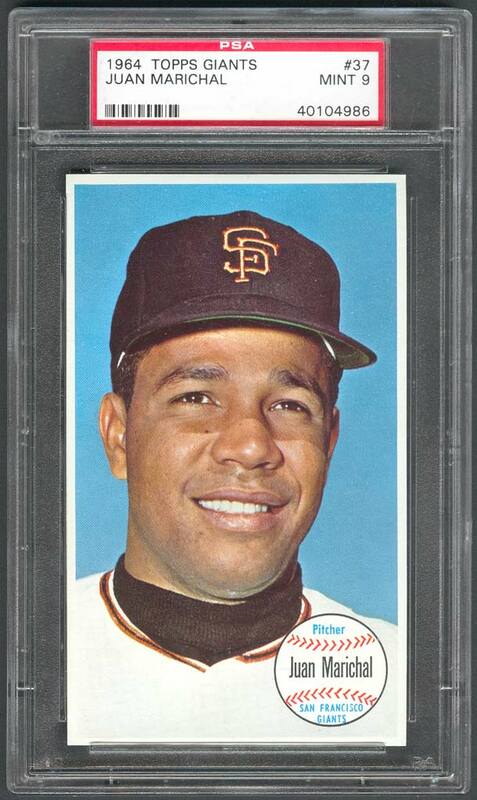 The '64 Giants were not printed in equal quantity and seven of the cards, including Sandy Koufax and Willie Mays are significantly scarcer than the remainder of the set.